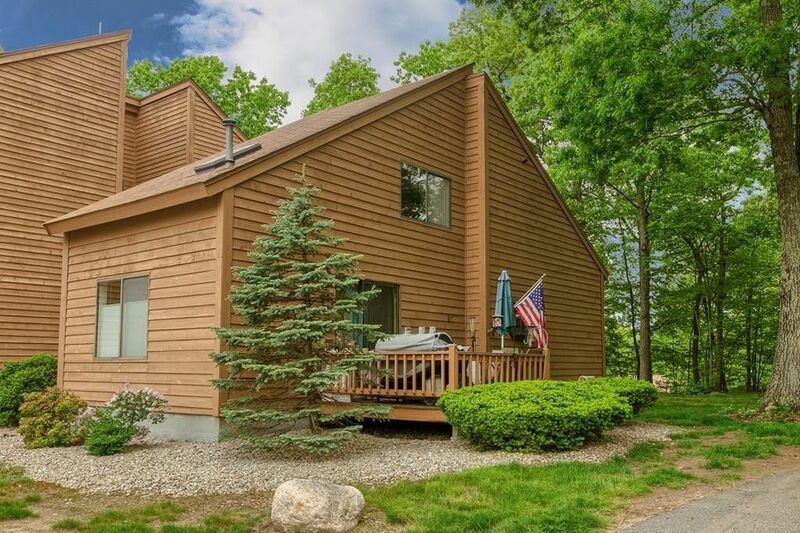 Enjoy the West Meadow Hill lifestyle in this fabulous 1-Bedroom, 1 Full Bath & 2 Half Bath Treehouse style Townhouse unit. This south-facing end unit offers 3 levels of living space, including a partially Finished Basement, updated Kitchen, Baths and Heating & Cooling, as well as a private Deck overlooking two, adjacent parking spaces [43-1 (2)]. --- The 1st Floor features an updated galley Kitchen with that overlooks a formal dining Room with cathedral ceiling & skylight; updated Half Bath; Family Room with hardwood flooring, cathedral ceiling, skylight, ceiling fan, and gas fireplace that flows to your private Deck. A stairway from the Family Room leads up to the spacious Master Suite with private Full Bath, cathedral ceiling, double closets, and additional storage space. The partially Finished Basement features a Recreation Room with wet bar, built in fridge, TV, microwave & Bose surround system and Half Bath. Wired for generator connection. This beautiful home will sell fast! Directions: 1 Perkins Ct is first building on RIGHT at top of hill. Unit is next to garages. USA flag on deck.